Welcome to my self-indulgent blog about books, geek stuff and my feeble attempts at poetry and prose, all for your perusal. Enjoy! I just woke up to the announcement of this year's The Pulitzer prize for Fiction. I'm very happy with their choices this year. I was so sure they were going to pick a Hilary Mantel! God forbid! 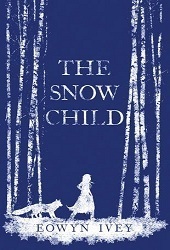 The Snow Child by Eowyn Ivey﻿ is a brilliant book. I bought this book after attending a Brisbane Writers Festival panel that Eowyn Ivey was on. She didn’t actually talk about her book but I liked her so I thought I would give it a try. also, I've been a sucker for anything Alaska ever since Northern Exposure was shown in the 90's!! Unfortunately due to the backlog of books I have, it’s taken me 5 months to pick it up and read it but I’m glad I did. I took it on a 5 day holiday, which was pretty action packed and yet I still managed to finish the book by the end of the holiday! It’ is a lovely book and I, very quickly, got lost in her wonderful descriptions of the Alaskan wilderness. The fable on which she bases the snow child herself is told throughout the story, it’s a sad story and ties in well with the lonely couple in this book, who are trying to survive in an alien landscape whilst still grieving for the loss of their only child. It is a lovely book and there is a list of book recommendations from the author if you are interested in reading anymore books about Alaska which of course you will be after reading this! 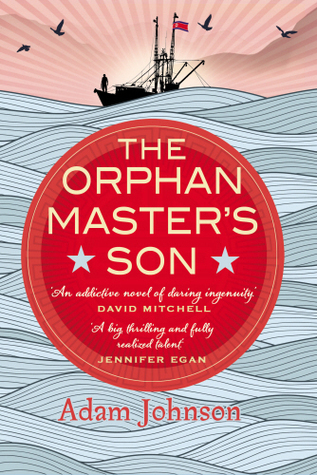 The Orphan Master's Son is a book I've heard a lot about following the Tournament of Books. It's not really a style I think I would enjoy but it seems to hugely popular, wonderfully written and a fascinating story. I've never heard of What We Talk About When We Talk About Anne Frank by Nathan Englander but I will be keeping an eye out for it now as the judges seem to have excellent taste in books! After all, Olive Kitteridge won one year and I love that book! Share book reviews and ratings with Rainy Days, and even join a book club on Goodreads. Her two feet had never been"
Looking to keep your 15 - 17 year old entertained this Summer?? The National Citizen Service (NCS) can help! All about me - cos I'm so interesting!! Favourite genres - science fiction, fantasy, American contemporary + the occasional light romance. Ideal Travel - Alaska. That's it! I've done the rest! getting excited when I know the new volume of Saga is on it's way!